The Rev. Salvatore Joseph "Father Joe" Collova A.A.C., 64, of Hammond, died Friday, Jan. 4, 2013, at the American Heritage Care Center in Hammond. Father Joe served as a Roman Catholic Priest in the Milwaukee Diocese for such churches as St. Rita's Catholic Church. Later, he dissolved his association with the Roman Catholic Church and become affiliated with the American Apostolic Catholic Church. 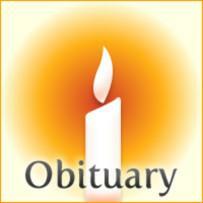 Funeral service will be 2 p.m., Saturday, Jan. 12, at O'Connell Family Funeral Home. Visitation will be one hour prior to services at O'Connell's. Burial will be in the family plot at St. John's Catholic Cemetery in Little Canada, MN. Memorials are preferred.